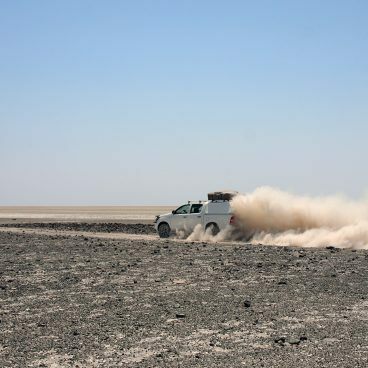 The Toyota Hilux double cab is the most perfect and best value for money 4×4 rental car for a self-drive safari in Africa. Available for both 2 and 3/4 people, the Hilux is the best choice. For travels with 5 people (two adults and three children) the Hilux double cab can also be used. We recommend the double cab also if you’re with just two people, the back seat is especially useful for photo bags, day packs and supplies. Compared to a single cab (2-door car) there is more legroom in the double cab. Standard engine GD 2.4-litre diesel. 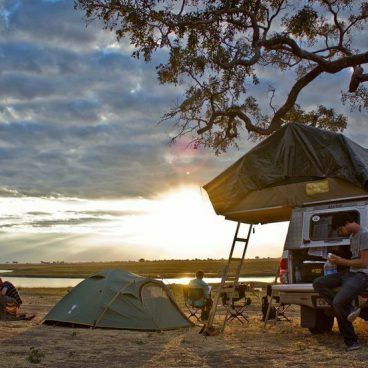 The Hilux has much space and comfort, and has sleeping places in the roof tent on the car. When you travel with 4 people, you can also choose to use a roof tent and an additional ground tent to create more privacy. This Toyota Hilux Double Cab 4×4 has a separate boot (storage compartment) where you can safely store your travel bags, together with all the camping equipment for your self-drive journey in Southern Africa. In summary, the Toyota Hilux double cab 4×4 offers you plenty of space and comfort at an affordable price. See the vehicle specifications and rates below. Specifications can vary per car and supplier. Please request the specifications of the car on offer. 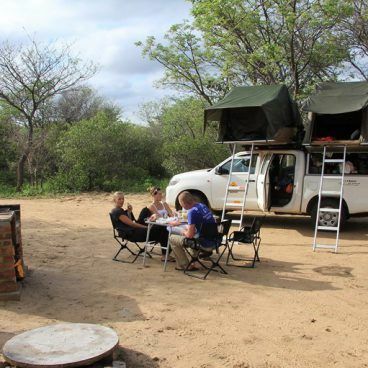 All camping 4×4 cars are equipped with a very complete assortment for 2-4 people (and optionally 5) which includes practically everything for taking a camping trip across Southern Africa.